Motorcycle riders are virtually unprotected on their bikes. Helmets protect the brain and skull, but the rest of the body is exposed. A motorcycle jacket may protect against road rash, but it will not protect you against the side of a truck, and the speed necessary to receive severe injuries is lowered due to the fact that the biker is not surrounded by any protective metal. So, serious injuries can occur at lower speeds of even 10-20 mph. I get it. I love riding motorcycles myself. The power, the speed. The freedom of it. Riding a bike is cathartic. There is no better way to view the open spaces of Texas than on a bike. However, statistically speaking, bikers and motorcycle riders risk their lives each time they get on the road. The typical person riding in a motor vehicle has a 1% chance of being in an accident. Oppositely, those on motorcycles have a 6% chance of being involved in an accident. Out of the 3,773 motor vehicle fatalities that occurred on Texas roadways, motorcycle riders made up 13% of all fatalities in 2016 with 496 deaths. Therefore, motorcycle riders and bikers need to be very aware of the fact that each time they get on the road they are risking their lives. HOW CAN BIKERS PROTECT THEMSELVES IN THE EVENT OF AN ACCIDENT? Bikers have little options when it comes to protection in the event of an accident. What they can do is increase the coverage they carry on their bikes for their own benefit. That means carrying a higher UM/UIM (uninsured/underinsured) policy for themselves. This is a policy that will benefit themselves in the event that they are in a serious accident. Medical bills and lost wages rack up quickly, so one way to protect themselves (and not the other person who hurt them) is to carry UM/UIM. This policy is set up to cover excess medical bills and lost wages for the injured motorcycle rider. Excess policies like this typically start out at $30,000, but can be $100,000 or more. The policy is not that much more expensive, and if you are in a serious accident, it will help cover the losses and put you in a better position going forward, monetarily. Trust us. Carry higher UM/UIM policy if you are a motorcycle rider or biker in Texas. 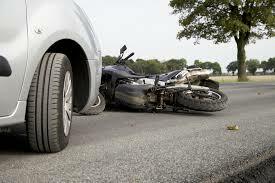 IF YOU OR A LOVED ONE HAS BEEN INJURED IN A MOTORCYCLE ACCIDENT, CALL GUEST AND GRAY TODAY! Guest and Gray, P.C. has helped countless motorcycle riders and bikers, and their families, recover monetary damages after an accident. We know that it does not take much to make a motorcycle accident to become severe and rack up medical bills and lost wages. Therefore, we act fast to get a hold of the claims process and begin directing payments from insurance companies to providers and making sure that our clients get top dollar for their injuries. Insurance companies will try to push the blame on the rider, as opposed to the vehicle. Motorcycle riders have a bad rap in the insurance industry for being reckless and driving too fast for the conditions of the roads. At Guest and Gray, we will not let the insurance company play games with your recovery. We will make them pay every cent of damages incurred as a result of their insured. We have the experience, knowledge and tenacity to go at the insurance company to get you the recovery you deserve. Don’t settle for just any lawyer. Choose Guest and Gray, P.C. if you have been injured in a motorcycle accident in the Dallas, Fort Worth, and East Texas areas of Kaufman, Rockwall, Hunt or Van Zandt counties and other surrounding areas. Our firm has the resources to push back against the insurance company.